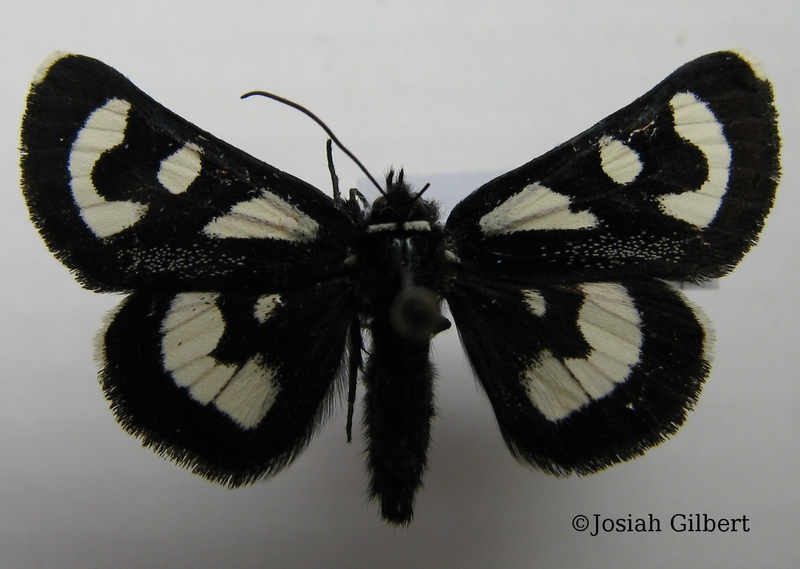 Identification: Forewing black with large curving white patch in postmedial area (not broken by black veins), a white triangular basal patch, and a white spot between these two areas. Two white patches on hindwing. Caterpillar Hosts: Clarkia(Onagraceae)have been recorded.